I’m fortunate enough to have two of the best monitors you can buy right now sitting on my desk – the ASUS PG278Q and PG279Q. They’re both 27”, 2560 x 1440, support high-refresh rates (up to 144 and 166hz respectively) and NVIDIA G-Sync. The main difference is the type of panel they use. The PG279Q uses an IPS (In-Plane Switching) panel whereas the PG278Q uses a TN (Twisted Nematic) Panel. So what’s the difference? In this video I compare viewing angles, colour accuracy, response time, input lag, IPS glow and the difference in price. Right now on Amazon, the TN model is £520/$675 whereas the IPS is £695/$800. Is IPS worth paying an extra £175/$125? Well that’s up to you and what you’re willing to spend, in fact the idea of paying £520 for the TN is probably a ridiculous amount to spend on a monitor for most people anyway. For me though, if I was going to spend that sort of money on a top-end monitor, I’d probably bite the bullet and buy the PG279Q for the IPS display. I use my monitors for work and for gaming so I do appreciate IPS when I’m editing video or colour-correcting photos. 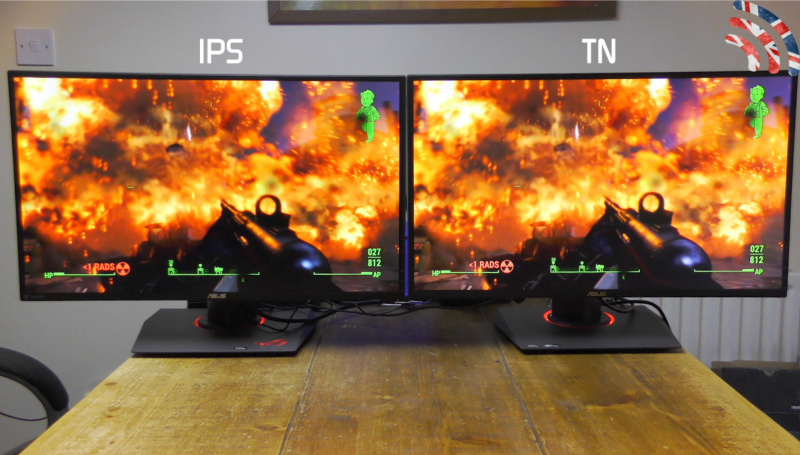 Let me know in the comments where you stand on the IPS vs TN debate and whether you’d pay the extra to get an IPS monitor.